On today’s “All Things Considered” Quail Lawrence reported on a traveling production of Sophocles’ tragedy Philoctetes, a classic portrayal of the PTSD that plagues veterans not only today, but in antiquity as well. Peter Meineck, artistic director of the Aquila Theater Company, has staged the production with a cast consisting mostly of veterans of the Afghanistan and Iraq wars. He will deliver the annual Moore Lecture for the Department of Classics at Trinity this coming fall. In 2008, Bryan Doerries organized a similar production, The Philoctetes Project, which offered staged readings of the same play to help veterans work through their experiences. This entry was posted in Uncategorized on May 30, 2014 by msafran. On today’s broadcast of NPR’s “Science Friday”, Professor Kristie Macrakis of the Georgia Institute of Technology discussed her new book Prisoners, Lovers & Spies: The Story of Invisible Ink from Herodotus to Al-Qaeda. The interview led off with a discussion of the use of lemon juice as invisible ink, which dates back to classical antiquity! For more on the broadcast and Prof. Macrakis’ book, visit the “Science Friday” page. This entry was posted in Uncategorized on May 16, 2014 by msafran. Last week in my seminar on Ovid’s Metamorphoses in translation, we looked at adaptations of the Pygmalion episode in contemporary film and television. Examples, which we derived from Paula James’ book on modern-day Pygmalions, ranged from George Bernard Shaw’s Pygmalion and My Fair Lady starring Audrey Hepburn; to “make-over” movies like Pretty Woman and She’s All That; and engineered-woman dramas, including Buffy the Vampire Slayer’s “I Was Made for You” (Episode 5.15), which has been the subject of a series of essays on the Open University (UK) iTunes site. 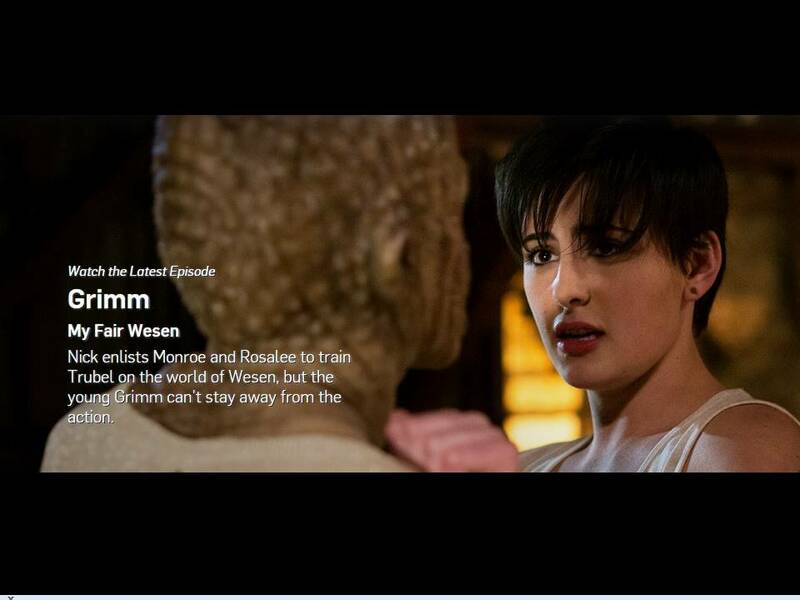 This week, add another interpretation to the file: an episode of NBC’s drama Grimm titled “My Fair Wesen”, which features interlocking plots: Nick (the titular Grimm) tries to make Theresa Rubel (aka Trubel) into a properly trained Grimm like himself, while a “family” of criminal Wesen attempt to make the scruffy runaway over as one of a cohort of high-end shoplifters (it’s creepier than it sounds). This entry was posted in Uncategorized on May 4, 2014 by msafran.